The structure of America’s car makers throughout the 60s and 70s made for some insane cars rolling right off the dealership floor. Scheme’s like Chevrolet’s COPO (Central Office Production Order) allowed dealers in the know to special order cars to bespoke and unusual specifications. Subsequently, race-crazed Dealerships became household names whose products rivalled the likes of Shelby American. Don Yenko, a dealership owner and racer, produced his own line of modified Yenko Super Camaros in 1969 – specially ordered with L72 big-block engines, power disc brakes, spoilers, cowls, Posi-rear ends and other heavy-duty ancillaries. 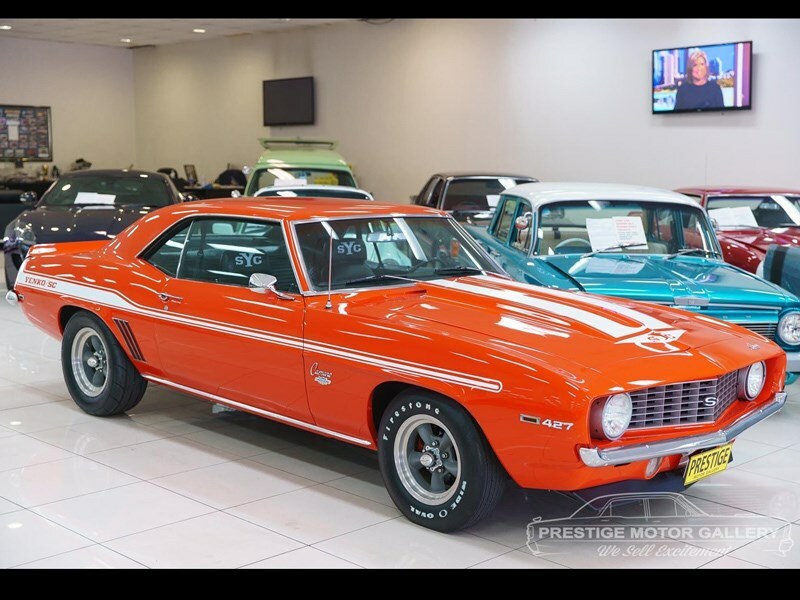 Just 201 were sold in 1969, and are revered performance cars within US muscle lore. They fetch hundreds of thousands of dollars in the US and are incredibly rare. This 1969 Chevrolet Camaro is a visual replica of a 1969 Yenko Super Camaro. It’s finished in Hugger Orange with what appears to be all correct badging, cowls and chin spoiler. Under the bonnet sits a built 454 big-block sending power to the Mickey Thompson street slick rears by way of a TH400 three-speed automatic and 9-inch diff. The car sits on American Racing Torq Thrust wheels, with the interior dipped in new black vinyl trim. The car looks like a convincing replica, with a lot of work underneath it. Yenko’s Camaros are the performance cornerstone of GM muscle car history, so if you’re after a statement piece of American motoring, this ’69 Camaro might be worth a look! The car is based in New South Wales, and is listed for $79,990.